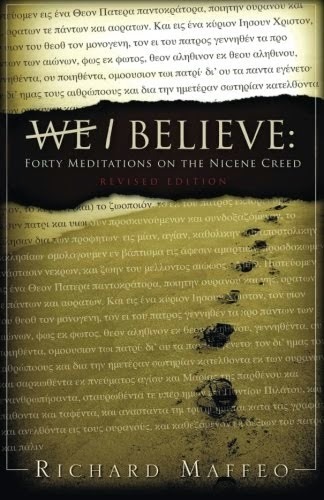 My revised book of Forty Nicene Creed meditations is finally in print -- paperback and Kindle. You can find it on Amazon. Search I Believe, Richard Maffeo and it will pop up on your screen. I priced it to sell: $9.99 paperback, 0.99 cents Kindle. I am having an interesting discussion on one of my FaceBook groups regarding the question of national sin and if God does judge nations for their collective sin. This post comes in the middle of my discussion with the other writer, so it might seem at first disjointed. I believe you will quickly be able to understand his point, and my point. Perhaps the clearest examples in Scripture of God’s eventual response to national sin (or, in the case of Revelation, global sin), is found in the Passover account in Exodus. The ten plagues, culminating with the death of the first born in Egypt, fell upon all Egyptians, men, women, children, babies, we are told, because of Pharaoh’s arrogance, his sin and rebellion (e.g. his derisive comment, “Who is the Lord that I should let the people go?” (see Exodus 5:2). Certainly the entire nation was not 100% guilty and worthy of such devastation (likely there were many who did not want to lose their free labor), but the judgment of God fell upon the entire nation, and so all suffered as a result. And then there are those passages in the NT which also warn nations (and the globe) about God’s judgment of arrogant sin. For example, Luke 10:10-15, Romans 11:1-23, 2 Thessalonians 2:7-12, and Jude 5-15. And then, of course, there is the entire book of Revelation. The Lord’s warning to the seven churches in chapters 2-3 speak specifically to Christian churches who lose their first love, or become lukewarm, or tolerate sin, and so on through the two chapters. And then beginning with chapter 4 of Revelation until the 18th chapter, the seals, trumpets, and bowls unleash enormous disasters on the world and those who would not “repent of their murders, nor their sorceries, nor their thefts” (9:21). I skipped over God’s judgment on personal sin, but I might as well mention only two examples here: Ananias and Sapphira in Acts 5 is one. The text says it was the Holy Spirit who took their lives. Herod (Agrippa I) in Acts 12:23 is another. Then there are the multiple warnings in the epistles such as 2 Thessalonians 1:5-9; Galatians 6:7-8; 1 Corinthians 11:27-32, Roman 3:23, and 6:23, and dozens of similar NT passages. St. Paul, in referencing the Old Testament writings, said this in 1 Corinthians 10:11-12 - Now these things happened to them as an example, and they were written for our instruction, upon whom the ends of the ages have come. Therefore let him who thinks he stands take heed that he does not fall. The evidence, to me at least, in the OT (as well as the NT) is overwhelming in its demonstration that God does judge personal and national sin. Would to God! that the Church would accept even the possibility that the massive destructions we are slowly witnessing across our land might be the hand of God sent to warn us in the Church, as well as those outside the Church, that we better mend our ways or worse will happen to us. Would to God! that our leadership might be as Daniel and Nehemiah, who believed the earlier prophets (e.g. Daniel 9:23 with Jeremiah 25:11) and recognized God’s hand in Babylon’s invasion of Israel and subsequent pillaging of the land and the people. They then set about to pray, to confess their national sin to God, and seek His deliverance. 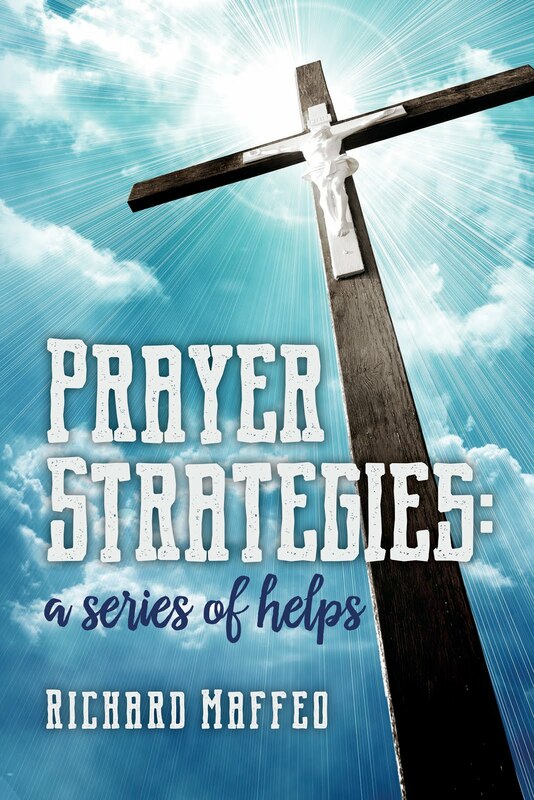 You can read the prayers of both men in Daniel 9 and Nehemiah 9. The prayers would make a good template for America. I have to wonder what would happen to America if our Church and national leaders fell on their faces before God, as those two men did, and confessed likewise. I know I have written a lot in response, but I did so because I wanted to provide you the Scriptural context of my question regarding 9-11. 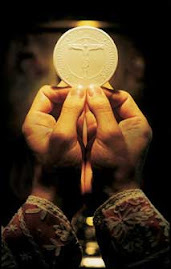 I am sure we are still in disagreement, but since our Catholic faith is rooted and grounded in Scripture and Sacred Tradition, I like to look at things in that context. I posted a video to one of my online social network sites which suggested 9-11-01 was part of God’s judgment on America because of its many sins. One reader took great umbrage with that idea. He believes 9-11 was simply the sinful act of “misguided” men, and is unwilling to believe God would permit all those innocent people to die because of the nation’s sins. Of course, that reader is not alone in his belief. I have witnessed the same idea promoted for years from pulpits and in religious magazines and newspapers. “When Your people Israel are defeated before an enemy, because they have sinned against You, if they turn to You again and confess Your name and pray and make supplication to You in this house, then hear in heaven, and forgive the sin of Your people Israel, and bring them back to the land which You gave to their fathers. Solomon is not the only one in Biblical history to associate disasters – whether of nature or of man – with God’s judgment of sin. One cannot read Moses, or the prophets, or the epistles, or Revelation, and come away with a philosophy popular in much of today’s Church that God does not use nature or Man to judge sin – whether personal or national sin. America has mercilessly killed more than 55 million babies in abortion clinics since 1973. Grasp the magnitude of that bloodshed. Fifty-five million. And in that time America has also elevated sexual perversions of all sorts to the place of protected legal status. We vote into political power men and women well-known for their deceit, thefts, murders, immoralities, treasons . . . and we love it so. If we choose to believe earthquakes, floods, droughts, and other ‘acts of God’ are simply random acts of nature, and not God’s ‘wake up’ call to repentance, then there is no need for a sinful nation to repent, to change, and beg God’s forgiveness. If we choose to believe the tragedies caused by planes crashing into buildings on 9-11 were simply the work of evil men acting on their own free will, then we will not be open to the possibility that God is removing His protective shield over America because of our national sins. Therefore, there is no need to gather on our knees in churches across the land and repent, and change, because we have nothing to fear from God. After all, God is Love. There is, of course, a better way to live, and that is in accordance with the historic teaching of the Church, and the historic teaching of Scripture, which can be summed up in this axiom: When the plain sense of scripture makes common sense, seek no other sense; therefore, take every word at its primary, ordinary, usual, literal meaning, unless the facts of the immediate context, studied in the light of related passages and fundamental truths indicate clearly otherwise. From one end of the Book to the other, Scripture tells us not only is God Love, but that He is also a Holy God. We say that sometimes too quickly and too easily. But let’s now say it slowly: God is Holy. Righteous. Sacred. Pure. Undefiled. And He demands of us the same. When we choose to live otherwise, then we have good reason to fear, as the historic Church and all the Biblical writers have warned. God is not one to be mocked, wrote Saint Paul. Whatever we sow, we will reap (Galatians 6:7). The writer to the Hebrews added: “Our God is a consuming fire”, (Hebrews 12:29) and, “It is a fearful thing to fall into the hands of the living God” (Hebrews 10:31). God is not dead. And He is not asleep. I published this in my second book, Lessons Along the Journey. I hope you find it meaningful. I love dessert. That’s why I have to exercise regularly to control my weight. I jog three miles, three times a week. On non-run days, I lift weights. Sundays – well, Sundays I look forward to my nap on the couch after Nancy and I return from Mass. So there I was at work one Monday, about 15 minutes after showering away the effects of an unusually grueling lunchtime run in 90-degree heat. I ignored my exhaustion and decided to take the stairs from the ground floor to my office on the sixth. By the time I reached to the fourth floor, my legs felt like mush. I almost heard them whimper at me to take the elevator. I ignored their appeal and pushed on. A moment later, down the stairs trotted this bouncy young lady – all of twenty, I supposed. Her broad smile faded into an uncertain grin when she saw me. By now, I was holding onto either side of the rails and pulling myself up each step. "Are you okay?" She stopped a few steps above me. I heard in her tone the same concern I use when I meet elderly people who look as if they really need to sit down. "I'm . . . fine," I managed to gasp between breaths. "Thanks." I wanted to tell her I'm in great shape. I jog three miles and all of that – but thought better of it. When I nodded, she gave me one more cautious glance, and continued on her way. I toughed out the next two flights – grateful to finally reach the sixth floor. I thought about that incident later as I drove home. It seems like only yesterday I was the one bouncing down the stairs, full of twenty-year-old energy. So, when did yesterday wilt into today? When did energy morph into exhaustion? Before we realize it, we are the elderly person we once tried to help, and we understand why the Psalmist asked God to teach us to number our days, and why St. Paul wrote: “Watch carefully then how you live, not as foolish persons but as wise, making the most of the opportunity, because the days are evil” (Ephesians 5:15-16). I’ve learned this lesson before, and I guess I needed to learn it again: When our yesterdays and todays terminate at the graveside, we won’t care how much money we've earned, how many awards we've won or how many miles we've jogged. What we will care about – at least, what I will care about – is, have I done all I could do for the King of Glory with the days that I had? I have in the past envied Moses. I can’t count the times I have thought how much better my life would be if God met me like He met Moses, if He would sit on my living room couch so I could ask Him for direction. Or why I – or some in the family – struggle with whatever it is we struggle with. I have also wondered if it wouldn’t be better for the world if God showed Himself as He did in the past. Maybe ‘rend the heavens and come down, that the mountains might quake at His presence”, as Isaiah prayed (64:1). Or open the ground as He did with Korah and company (Numbers 16). If He did those kinds of things today, people would know who is really in charge. Yes, I sometimes think it would be better for all of us if God did things differently. And then I have a momentary sense of clarity – which usually lasts only for a moment. No, it would not be better, because if it would be better, our heavenly Father would do it. If it would be better God would rend the heavens, or open the earth, or sit on my living room couch and tell me all I want to know. But our loving God does not do what is ‘better’ because He chooses to do for us what is ‘best.’ For me. For my family. For our world. I suppose, like all things related to God, it’s a matter of faith. When God is silent, it is not because He is unaware of what is happening in my life, or of my confusion, my pain, or my loss. No, He is silent because – even as He sits in the shadows – He is busy working out what is best for me, and not simply what is better. When evil sears across the globe and He is silent, it is not because He is impotent, but because somehow, in some supernatural way, He is working to cause all of it – even genocide – to produce the best for all of us. I do not understand God. Sometimes He is a complete enigma to me. At other times He is an absolute mystery. But that does not stop me from pressing on toward the kind of faith that promises, despite the darkness, despite His seeming indifference, God wants not what is better for me, or for humanity. He wants what is best.